On the main screen, organize your spec plan buttons and group them on tabs. You can create as many tabs as necessary in order to group your buttons. In addition, a new Explorer View is available for customers who more spec plans than is practical for buttons and tabs. Simply group and organize them into subfolders in Windows and this point to the main folder. All your spec plans are then only a couple clicks away. 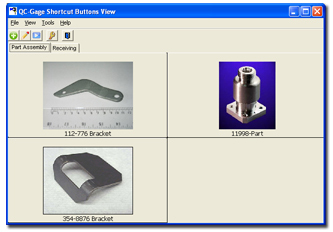 The menus and toolbar in QC-Gage have been greatly improved to easily walk you through the spec plan, tab and button management features. 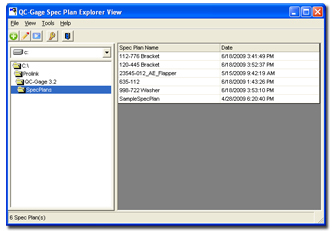 In addition, right clicking all buttons in the Button View and Spec Plans in the Explorer View display all options for the spec plan or item clicked.